1. Replace incandescent bulbs with fluorescent ones: What easier way to save on electricity than simply swapping out your light bulbs? Incandescent bulbs use 75 percent more energy than fluorescent bulbs to produce the same amount of light. This means that not only will a fluorescent bulb last longer than an incandescent, it will save you money on your electric bill as well. 2. Turn down your water heater: No matter how scalding you like your showers, your water heater really does not need to be set to any higher than 120 degrees Fahrenheit. At this temperature you can still enjoy perfectly hot water while scaling back on your heating bill. 3. Xeriscaping: Though we have had a fair amount of rain this year, Arizona is not the best place for a lush green lawn. Landscaping with thoughtfully placed gravel and cacti can be just as aesthetically pleasing at a fraction of the cost to maintain. Cacti and other dry flora require little to know water to thrive, hence a drop in your water bill. 4. Install Draperies: Hang draperies as close to your window as possible to help trap in warm air and keep your home as warm as possible for the lowest cost. Keeping the draperies closed can reduce heat loss by as much as 10 percent in the winter. 5. Schedule an energy audit: An energy audit or an energy assessment can help you better understand the areas specific to you that you can reduce energy and therefore cut spending. An energy audit can be particularly helpful if you are overpaying and don’t realize it or if you can save a significant amount of money over a long period of time. In RV parks there are all kinds of ways to save that you may not be taking advantage of. 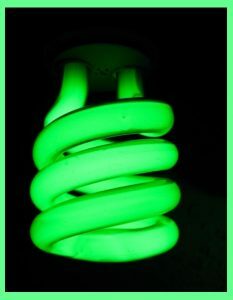 But if you also take into consideration these ways to save energy, your cost of living can be even lower!